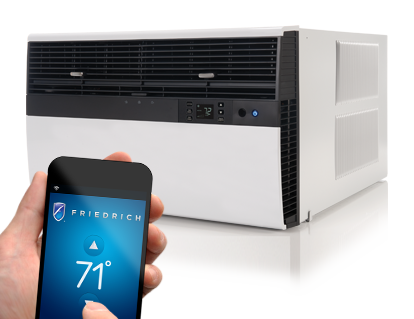 The differences between purchasing an air conditioner from an appliance store vs. buying from a specialist, are critical. 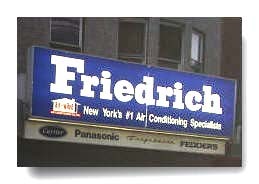 The typical appliance store sells air conditioners, and CD players, television sets, refrigerators, washing machines, etc. Their sales persons cannot be expected to be experts in all of these appliances. A customer could end up with an unsuitable unit, and understandably be frustrated. The story at Air-Wave is different. Our expert sales personnel know air-conditioners, our only business, inside and out. The appliance store's sales person cannot always custom specify the best unit for a given site, so there is the prospect of having a unit that may have too large a BTU rating, (which wastes your money), or, one too low (which results in inadequate cooling). Air-Wave specialists will check the conditions in your home or office - dimensions, heat load, other factors -- and, at no cost, work up a proposal for the equipment that is tailored to your needs. Air-Wave will deliver and install the air conditioner at no extra charge. The company has well-trained installation crews and a fleet of vehicles, so you won't be kept waiting for long when delivery, installation and service calls are needed. With most appliance stores the customer pays extra for delivery and installation. The installation may even be farmed out to a company that may not carry sufficient, if any, liability insurance. The sealed refrigerant system is the most important and most expensive part of the equipment. Air-Wave offers an exclusive five-year unconditional warranty, one that includes pickup, transportation, labor and delivery. Consumer testing organizations typically test a few units in a laboratory before approving a model for sale. In contrast, Air-Wave has and continues to test thousands of units in the field. That makes us better qualified to recommend air conditioners, under all conditions. *Air-Wave will provide Certificates of Insurance, upon request.